Fort Wayne Properties began as an American Revolutionary War fort in 1794. It was the last one built near the Miami tribe’s village called Kekisnga. It was named after the director of the project, Anthony Wayne. The settlement became an important trading center of the European pioneers. After construction of the Wabash and Erie Canal and the introduction of the railroad to the area in the 1800’s, Real Estate in Fort Wayne experienced substantial growth. Later on it became a leader in manufacturing. Today the city’s diverse economy relies on distribution, logistics, transportation, business services, hospitality, and financial services. The Fort Wayne Home buyer has many parks and recreational activities nearby to choose from. The Johnny Appleseed Memorial Park is located close to many of the Fort Wayne Homes for sale. Here one can visit the resting place of folklore legend Johnny Appleseed, camp, or picnic. It is located along the St. Joseph River, providing boating, fishing, and sailing. Headwaters Park is 30 acres in downtown Fort Wayne that is the ideal setting for private and public events. In addition to being a terrific venue, they are home to a public splash pad in the summer and ice skating during the winter. Lakeside Park is found a great place for Fort Wayne home owners. One will find pavilions, walking paths and rose gardens for their enjoyment. Children love the playground, while sports enthusiasts come for the basketball, tennis, and fishing. Homes for sale in Fort Wayne have many attractions and activities nearby to keep families busy. The Fort Wayne Children’s Zoo is a perfect example. They are open every day from 9:00 AM to 5:00 PM, and they have numerous species on exhibit. Fort Wayne Homes are also near several entertainment options such as those provided by The Embassy Theatre. They show musicals, concerts, comedy, and Broadway shows. The Grand Wayne Convention Center on Jefferson Boulevard is also a great place which hosts many events throughout the year. They are a host to private events, conventions, expos, and shows. 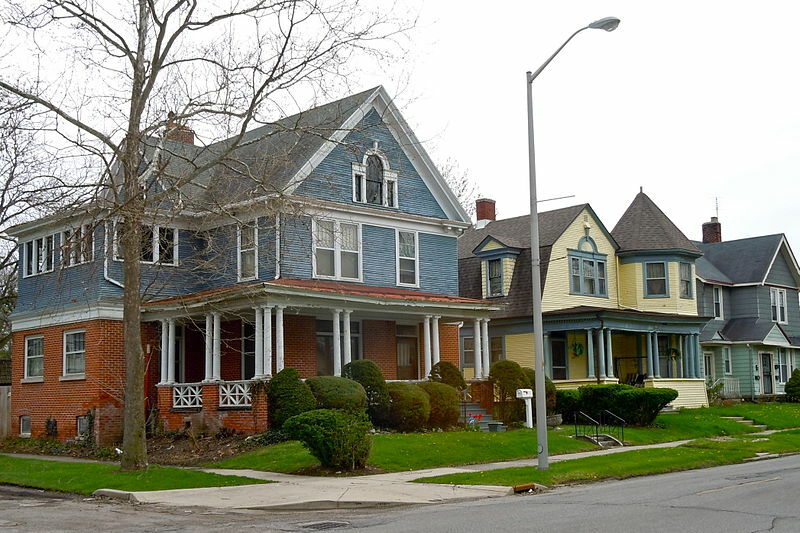 Fort Wayne Real Estate is the home of many annual events that everyone eagerly looks forward. The Johnny Appleseed Festival celebrates the life and accomplishments of John Chapman. It is free family fun for all ages.